The iPhone arriving on T-Mobile’s store shelves has been a mystery for so long, it’s up there with Unicorns, Roswell and fake Moon landings. With today’s announcement and now the standard passage through the FCC, we’re inching that much closer to April 12th. Passing through the FCC earlier today, the updated A1428 variant of the iPhone 5 is shown to use HSPA+ 42Mbps on the AWS band. There’s no other changes under the hood and we didn’t expect to spot anything else so that’s not really surprising. For the most part, this change brings the iPhone 5 in line with T-Mobile and some smaller Canadian carriers like Wind and serves to expand Apple’s reach. Let the April 12th countdown begin. I am not interested in the iPhone anymore because of the great compition this year from HTC and Samsung ( HTC One and Galaxy s4). The iPhone has no chance anymore to take the crown back! But maybe there is still people who want the iPhone just because it is an IPHONE and that it is very popular! In the nicest way, honestly, it is the perfect introduction to smartphones for the older crowd. It still has it’s place regardless. You are correct. I am moving my mom and mother in law both in their 80’s to the smart phone era through the iPhone. They have used iPads for 1 year or more now. They would not be able to handle any Android device. They should have skipped out on the 5 and just waited until this summer to release the 5s. Why would anyone get a 5 now with all the rumors of a summer 5s release? It’s only $99. And trust me, the iPhone still sells and will sell unless they announce the new 5S. I stand corrected. It is $650 from Apple. My bad. honestly a lot of regular non-geek consumers (i.e. not us) don’t really care if they have the most current phone on the market, just so long as it works well for their purposes. I don’t believe that. I think most regular customers want the latest and greatest. If they were informed by honest store employees I’m sure most regular customers would wait the extra two months or whatever for the 5s. In fact, so many “non techies” care about the latest and greatest that Apple themselves see a huge decline in sales the quarter prior to the release of an updated iPhone. Good for t-Mobile. NOW SHOW CHI-TOWN SOME LTE LOVE. May some one please awnser so my A1428 unlocked from apple store will work with tmobile lte it’s just the hspa+ will be slower not lte right? correct. Even tho the chipset inside the current A1428 supports AWS on both HSPA/LTE it locks out the HSPA but LTE should work just fine. It will work with T-Mobile’s LTE. It will not work with T-Mobile’s HSPA+ on 1700Mhz. It will run on the refarmed HSPA+ on 1900Mhz in those areas. Tmofan is stating that the unlocked A4128 from Apple which is the AT&T variant will not work on the 1700mhz band. However, the A1428 variant that T-Mobile is releasing April 12th has a 1700mhz band making it completely capable of using 1700 MHZ HSPA +42 and all aspects of T-MOBILE’S network. Unlike the unlocked A1428 variant from apple store which is the AT&T version but works with T-MOBILE’S LTE and HSPA+ on1900 MHZ in the refarmed areas. Ah okay, thank you for clarifying. Not to troll, seriously. Why do people pay so much for such a device? I don’t get it. Because they can afford it. – or most can. The higher end Android devices are expensive too (see Galaxy Note II on T-Mobile). Yes, but the same money could get you a much nicer android, wp, or bb. More features and most of all…choices. I use a nexus, and work for tmo so i switch phones every 2-3 months, but honestly…the stupid iphone just WORKS…it hardly ever has issues and is STUPID SIMPLE….in the end, 90% of the population just wants that…android is a pain in the ASSSS to maintain *most of the time. Thanks for sharing your *opinion. But with an Android device, you get what you pay for, the iPhone is an expensive iPod touch that makes phone calls. To develop apps for the iPhone you need a physical device. Google literally gives them away to developers. Since I own both, I would say the iPhone is usually of much better build quality than the any of the Android devices. I may change my opinion as soon as Google sends me their next Nexus device. But right now the iPhone 5 is simply the best built hardware. I laugh at the build quality of Android phones. They really need to get their act together. The iPhone just is better built with tighter QA standards. Plus the fragmentation with Android is a nightmare for developers. Thanks everyone for the input. I have spent time with the iPhone and agree the build quality is very good and it is reliable and smooth. I went from Android to WP. For me (and possibly me alone), the lack of hardware choices and limited feature set is not too appealing. But, hey, it seems to be working for millions of people so can’t argue with results. Will it support voice and data at the same time like on ATT? My understanding is that sprint and vzw iphones cant do it. Yes it will, most* electronics with CDMA technology cannot do voice + data. This is not accurate. Verizon offers plenty of Android phones that do CDMA voice and LTE data at the same time. The iPhone 5 on Verizon can not do this though; there has never been an official response that I have seen as to why not. I’ve testing an unlocked iPhone5 on T-Mobile’s network; it could NOT do it. I think we will need to wait and see about the specific T-Mobile variant. There are some Verizon phones that can do simultaneous voice and CDMA data. Make sure you test that when you’re on WCDMA/HSPA (3G) as it definitely can do it. I do it all the time with an unlocked Verizon iPhone 5 on T-Mobile. If you’re on GPRS or EDGE you will not be able to do simultaneous voice and data. It is because of CDMA. With CDMA, you have separate voice(1x) and data(evdo) channels, so when you are connected to one(talking on the phone), you cannot connect to the other. This is why previous phones( prior to 4G movement) on verizon or sprint could not talk and surf. With LTE Android/Win8 phones, they have antennas for LTE and an antenna for CDMA(1x/evdo), because they have two antennas, both can be on at the same time, which gives you talking and surfing simultaneously. So I am not an IPhone fan this special T-Mobile IPone 5 Variant that Apple agreed to make and now was FCC approved looks better than any other made IPhone carried by all the other carriers. I am so glad I am a T-Mobile customer. Going to pick up this IPhone 5 hehe. You give us New Yorkers a bad name. Ughh glad i don’t live in NY ,, LA all the way. NYCTheBronx… I noticed you made a video earlier today about T-Mobile UK having the iPhone 5 and how it was a giveaway that T-Mobile USA is getting the iPhone today… uhhh T-Mobile UK has had the iPhone for SOOO long! lol in fact one of my friends in the UK has an iPhone 5 on the Everything Everywhere network.. which is the combined network of T-Mobile UK and Orange. Does it look like I knew that? Thanks for informing me anyways. David, is there a keynote for this event anywhere? in iphone 4 they have extreme limit over 3g was 7.2mbps in iphone 4s they have extreme limit was 14.4mbps chip , but still u can not get max speed over att, the problem appear on iphone4 when u put finger over joint u lost signals this is not hidden it was a problem …now i phone 5 have a LTE and DC Hspa chip but all about antenna they said it has a ability to smartly switch antenna called dynamic antenna between network but they never did antenna difination thats why they add glass on top and bottom of the back i same as HTC One but different way ..samsung having hands on thousand of things, they have invention factory they made concept divices ….any way its what i understand ..
Htc makes some awesome hardware, but I hate their software and software support. If I could get Samsung’s software on the HTC one I would do it in a heartbeat. 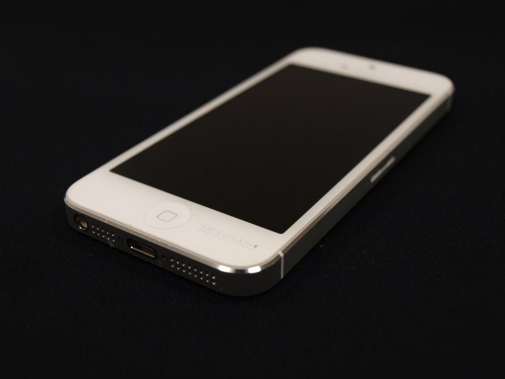 do you think it’s worth getting the iphone 5 now or wait til the 5s? Does it matter? Aren’t all IPhones the same just the newer ones have a tiny better spec? They all get the web os update in the same time. So can either get the IPhone 5 when it comes out for T-Mobile on April 12 or wait for a very long time for the IPhone 5S or 6 to come out. Your choice. …unless Apple makes some software features exclusive to 5s like they did the 4s. There could be a new hardware feature that is only available to the 5s. Never know. Can some one who watched the whole event please give the exact quote of the CEO regarding Wi-Fi calling? Sooo , will this have a wifi calling app? Thanks for the info. Where should I look to find out about the WiFi update like you did? I hope what happened to sprint (when iphone launched on their network) does NOT happen to Tmobile. I enjoy my fast data speeds! To be honest I can wait for LTE, HSPA+ has been great to me on my note 2 in NYC. I don’t think it will be as bad. The problem with Sprint is that everyone uses their CDMA network (sprint, cricket, boost, virging mobile, etc). CDMA before the iphone was good. Now it’s very slow. Is the T-mobile Iphone5 going to run on the 1900 or 1700 band? The new one will have the added capability of being able to use T-Mobile’s current AWS HSPA+ network. This means: if you’re in an area that currently has T-Mobile 3G/4G and you buy T-Mobile’s iPhone – you won’t have to rely on the refarmed 1900MHz spectrum to get 3G/4G internet. Plus all the QuadBand GSM, GPRS, EDGE.